This is a forward-looking review of the Litecoin project for the Solar Return starting October 7th, 2018. The effects from this Solar Return last for about one year. 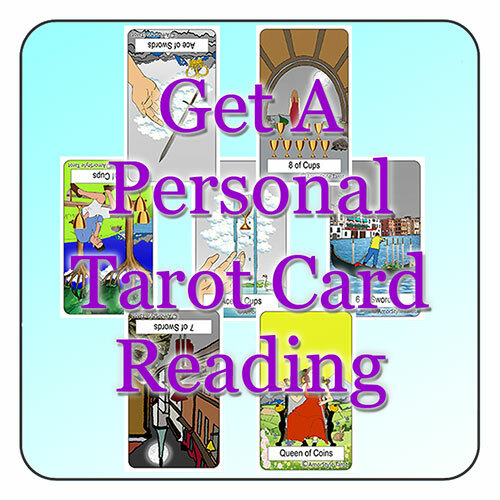 The idea behind this post is to read the Solar Return chart in a mundane way in order to get a feel for the overall energies that will act upon different parts of the project. 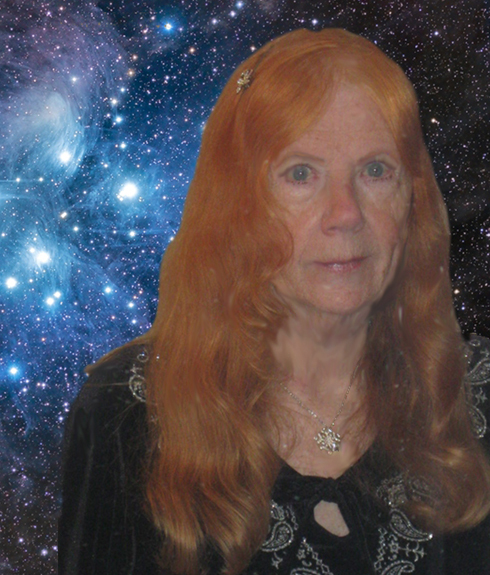 From the energies, interpret the types of things that the community might have to deal with. If you would like to see my research in the historical-looking report, please see the Mundane Solar Return for Litecoin 2017 article that I recently posted. As always, I always list my summation of the report first. 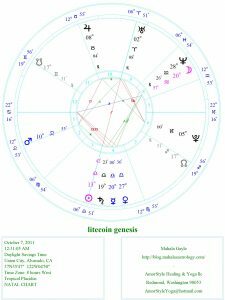 The key energies, expressed in the Solar Return for 2018, show that for the upcoming year, the leaders, the community members and the press will all be watching the new relationships that are being built within the Litecoin community. The energies are all about forming partnerships and making long term deals and commitments. These would be working relationships that are mutually supportive and applicable for the industry. In the process of making deals, the leaders of the community will also be put in situations where they will have to re-evaluate previous work and old functionality. The energies are such as to bring about a solid reflection upon what works and what doesn’t. Based on this information, the leaders will make responsible, reasonable and understandable compromises that will be seen as appropriate. The chart indicates that the solutions will be rolled back into the project and put to work. The people in the community are onboard and support the move towards looking for and building new partnerships. The greater community will be inspired to participate in any way that they can. When activated, the community members will take the involvement in forming these new partnership seriously and pay close attention to the details to make sure there is closure in the deals. The chart also suggests that there will be a very strong outside influence that will try to disrupt or change the core philosophies that Litecoin was built around. This energy aligns to the left and will come in emotionally charged. Both the people and the leaders of this project will consider this an attack on the core principles upon which the project is founded. Expect people to have emotional responses to this meddling and react in ways that defy logical thinking. Uranus is in a position of influence for the year. It suggests that the technical innovations that go to make up what Litecoin is all about will be put into use, in some form, during the year. The restrictions imposed upon the technical innovations may reduce the exposure to the Litecoin Test Net rather than the full network. The position of Uranus also suggests that this is the point in time where Litecoin will really get to start exploring what it’s capable of doing. It’s just starting to perform the work that it was designed to do. The relationship between the masculine and feminine will be a push and pull throughout the year. Imagine chaining a soldier to an artist and sending them to a political rally. It’s going to be back and forth, up and down emotionally. The issues with regards to speculation and the gamble for wealth that were so prevalent last year have dissolved. The energies associated with wealth has no outright resistance during the year and now real amplification. Expect the influences that Jupiter bring in to work in a natural unobstructed way. Being in the house of unexpected surprises, it wouldn’t be unexpected to forecast that big things could happen right out of the blue. It doesn’t look like there is much energy towards speculation of gambling in this chart. This looks like a chart showing that there will be steady progress made towards a functioning system through a sequence of test, refine, practice and the recycle. It’s not about outputting a utopian system, but getting down and dirty to put the developed system in play and then working out the kinks. The biggest issue that I see comes from Neptune on the Ascendant. This will amplify emotional situations that the people and leaders of the community really don’t want to deal with. The second largest is how Uranus is rolling into the 2nd house. This will represent the activation of the next phases of the Litecoin project. If you would like to see how I came to these conclusions, please continue reading. Solar Return chart for 2018. We always want to look at the energy directed towards the key players in this space first. As always, the Sun represents where the power is. It is associated with the leaders, or top influencers. Think of it as representing those that have the power to stir how the Litecoin project evolves. To give this some keywords, it’s the people in positions of authority within the project. It’s the leader, CEO, head architect, people in control of the purse. It is the focal point of the project. The Sun is sitting in the 7th House which represents the actions of just starting to look beyond self in order to investigate what it’s like to make emotional attachments to others. Symbolically, the previous houses would have built confidence, character and efficient ways of doing things. 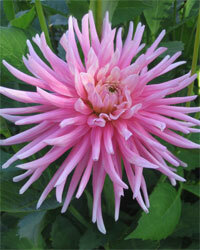 Here it’s reaching out and being open to the new relationships where bonds are built with others. This is where the types of agreements are made that show the type of character of the leaders. This is also the house that deals with how people form opinions about what Litecoin is and what it’s all about. The harmonic traits that represent how we will see the leaders is drawn out of Libra. At it’s best, they will come across as cooperative, diplomatic, gracious and fair-minded, but when under stress, we could see indecisive or avoidance behavior. The hardest thing might be the stress of feeling that they’ve made the wrong choices in the relationships that they are building, but the energy suggests that they will think about it and measure all the aspects of it before making any decisions. Mars, which carries that strong masculine energy of action, getting things done at all costs, motivating by lighting a fire under things is just now transitioning into the 12th House. This house represents the closing of the cycle or the time that you reflect upon what has happened as if doing a post mortem to figure out what has gone well and what hasn’t. The unwind process is not always easy and in this case, we have just changed focus from allowing the Leaders of the community to live their dream to a situation where they are forced to re-evaluate how things are going. The traits, that Mars brings with it on its journey through this house, are that of Aquarius. It’s going to feel progressive, original, independent. Energies will make it want to be friendly with everyone while at the same time empower it to fight for the cause. All this energy is in a Trine with the leaders of the community suggesting that this sharp change of houses for Mars is going to feedback to the leaders in a positive way. The leaders will probably seriously analyze what has been successful and what hasn’t, and not drag their feet about it. This situation will influence them to make transformational changes without hesitation. Imagine the gardener revisiting property that he worked a year ago to find that the original plans that he laid down for some tree just didn’t work. He re-evaluates the situation taking special care to note what worked and then he prunes out half the tree completely changing from the original plan. What we will see in a year will be different than what was set in motion last year. The deadwood is going to be trimmed out. Pluto is also influencing the leaders of the community. Being the planet of change and rebirth, yet with an eye towards that which is hidden deep within, this planet will bring up some dark opposition to change or create some hard obstacles to overcome. When you look at what it’s focusing on, we find it in the house of hopes and dreams. This is the house where you would realize that you’re living your dream. All the effort that you’ve put into the project is there for everyone to see and this is it. This is the house that would represent the types of group wide debates that are in harmony with driving the project forward for the benefit of all life as we know it in the universe, yet it doesn’t look like the project has made it to that point yet. The hard part about this influence is that it comes when Pluto is in Capricorn. We normally think of Capricorn as bringing good managerial skills to the project. In this case, there might be know-it-alls that unduly influence the project. There could be a nervous feeling that things just aren’t right, or situations have been setup that the community is not quite ready for and the influences here could make the leaders feel like it’s time to expect the worst. Thinking of this in relations to the Mars Trine, the leaders are probably going to figure out what the transformation is fairly quickly and changes will be made. Ultimately, the influence doesn’t look destructive to the community making progress. Here we have a rather significant conjunction that will emotionally influence the heart of what Litecoin is. The Ascendant represents the identity of the project, how it interacts with the world and how others see it behaving. 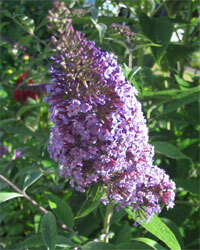 Overall, the Ascendant sits in Pisces which gives the overall project a gentle, artistic, easy to love type of feeling. Being connected to Litecoin feels romantic, compassionate, wise and musical. To this, we add Neptune which is amplifying all the above Piscean traits yet it’s sitting in retrograde during the conjunction. Neptune is associated with left-wing political ideals, socialism, communism and covert plots, fraud, illicit activities and the corresponding loss. This Neptunian energy will probably bring up ideas that are socialistic or communistic by nature and try to project them onto the fundamental idea of what Litecoin is and how it should function. How will it do this? Very gently. It will be that sensual whisper in the ear and the corresponding rub on the shoulders that you can’t help but give attention too. This seductive energy will be in complete mis-alignment with how the leaders of the community see things. The Quincunx shows that the way Neptune is going about influencing the community is not understood is simply can’t be understood or more likely so fundamentally opposed to what the leaders have planed that they will just get emotionally disturbed if they are forced to talk about it or even entertain the ideas of socialism as being a correct aspect of the project. This little semisextile aspect shows that the people of the community are starting to understand what the leaders are doing and they are aligned energetically with it. The Moon is here to show us the energies that the people of the community will be drawn to or where their awareness will be focused. To start with, the Moon as just entered the 7th House. This aligns the work that the leaders are doing and what the people will be aware of during the year. There will be synergy with regards to making those important relationships and the people will get involved. The approach that the people use to get involved will be different than the approach that the leaders deploy. The influences on the people are coming from Virgo which will make them very practical, analytical, loyal and hard working. They will pay attention to the smallest detail to assure that there is nothing left out or not considered. Because Mercury rules the sign of Virgo, we’ll probably find the people tracking all forms of communication in a meticulous way. As an aside, Mercury is also in the 7th House reaffirming the focus on setting up new relationships and using all forms of communication to do this. The biggest emotional trigger for the people, something that they will be completely opposed to, is the Neptunian influences on the core philosophies of what Litecoin is. I would not expect anyone in the community will stand for any type of outside influence that threatens the core values of this project. Yet, this aspect shows that the people will most likely be involved in experiencing this during the year. The transformational energies that Pluto brings in will be aligned to what the people see as needing to change and they probably won’t provide much resistance. This could put the people in what appears to be a very supportive position to the management of this project as it re-evaluates and applies the changes that need to be made in order to move forward. Over the next year, the people of the community will be at odds with the socialistic changes that are trying to work their way into the project, and, because of this aspect, they will be forced to reconsider what it all means. Being square the Midheaven suggests that what the people think this project is, and what it really is, will come into question. It’s as if there will be some maturing as to what Litecoin’s role is in the world. Looking at the details, it will be worthwhile to investigate exactly what the retrograde cycles are for both Neptune and Uranus. Both these planets are flirting with a cusp of the 1st house. As time permits, I will look into charting the paths and key influences for both these planets for the upcoming year. Yet for now, we’ll look at what the Solar Return is telling us. As mentioned above, Neptune is associated with left-wing political movements and ideals. To anyone that’s been paying attention, there is lots of support from people in high places regarding left-leaning programs and ideas right now. The Litecoin Solar Return shows that these types of energies will try to influence Litecoin in the coming year. Seeing that Neptune is in retrograde, these energies are going to be ruthless as they try to get a foothold in the project. As already mentioned above, the opposition to the Moon will create a situation where the people of the community will be in total resistance to the Neptunian ideas. The aspect that is made with the sun shows that the leaders are fundamentally at odds with the changes that Neptune wants to bring. Venus, being the planet that represents soft feminine and artistic energies, is in a position to support the core changes that Neptune brings. Venus is associated with marriage, musicians, artists, entertainment and diplomatic resolutions. It wants peace and will work to keep the situation harmonious. The interesting part is that Venus is in the 8th house which is based on strong emotional attachments and situations which you cannot control. This house deals with death, rebirth, natural disasters, accidents, epidemics, delays and obstructions. To this, Venus will be behaving with the traits of Scorpio. This will bring out the brave, passionate, stubborn, true friend that will not tolerate any dishonesty. It will amplify the emotions, yet come across as calm and collected. Working against Neptune is the square aspect to the Midheaven. 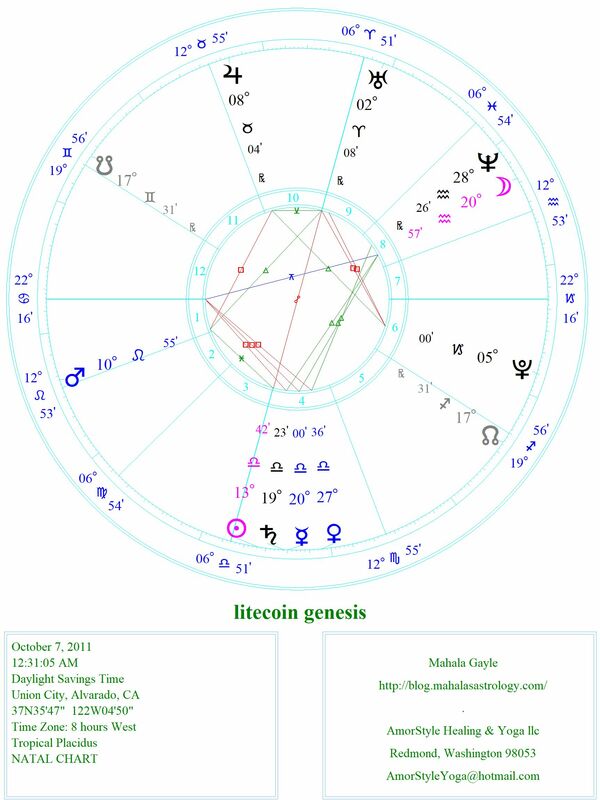 This may indicate that the energies that Neptune is bringing in is not aligned with what Litecoin wants to be. We’ll want to watch Neptune and what triggers it during the year. As for reaching out to disrupt things, the retrograde Uranus is stepping up to make sure things are stirred up for the upcoming year. Similar to Neptune, Uranus bring in political energies of influence. Yet this time, they are from the other side of the spectrum. It is associated with Fascism, Individualism and everything that drives a free market, rebellions, strikes and riots. It rules scientific breakthroughs, technology and discoveries. All this energy is just entering the 2nd house which is where the community will find what it thinks is valuable. This is the house where projects just start to apply themselves. It is the house where, through trial and error, the community will figure out what is worth fighting for and what isn’t. This is the house that suggests that Litecoin may try to actually function as a currency in the coming year. Uranus will bring as sense of being to how Litecoin starts to apply itself that will align with Taurus. This is a reliable, patient, practical, stable type of energy that can also be stubborn and uncompromising. It loves things of quality and is willing to work with its hands. Uranus will be willing to stick it out and endure until it gets to what it thinks is satisfactory. Uranus is going to have an impact on Litecoin during the following year in a real and tangible way. Mercury, briefly covered above, is in the 7th house which wants to emphasize building relationships through communication. The Opposition would indicate that the technological breakthroughs or scientific research will not be well communicated to the public. Or, all the activity that is going to happen that allows Litecoin to really start being what it needs to be will not be carried in the news. Expect to hear about everything except any of the good work that’s going to happen to allow Litecoin to start to function. I would expect the emotional influences regarding what Litecoin should be to be a forced debate that distracts from the real business that’s happening. Venus, also covered briefly above, is sitting in the 8th house of deep emotional bonds and things that cannot be controlled. That soft, emotionally charged energy is in direct opposition to Uranus. The actual activities that unfold under the care of Uranus will probably trigger those that are soft or in sync with the Neptunian influences. The only aspect to bring in Saturn this year comes from Uranus. Saturn is in the 10th house of intent with regards to how Litecoin does the work that it does. This is the house of choosing how you want to do it and following through. This is about standing with conviction and dedicating all your energy towards a cause. This is about making decisions with authority and experience. Saturn is going to carry Capricorn traits which will put it in a position of self-control and disciplined. It will come in as grounded and in touch with manifesting the work that needs to be done. Even though the planet is all about restrictions, lessons and constriction, the aspect allows for a harmonious exchange of energy with Uranus. This may suggest that the technical innovation that Litecoin is just now bringing forward will come in bits and starts. It could be that the technology will be stripped down to the bare essentials so that only what is need is made public. That Saturn influence would probably delay or remove any fluffy features or untested functionality from going public. Mars, which has also been covered above, sits in a difficult aspect to Uranus. This would help cement the idea that as the new aspects of Litecoin try to roll out, the hard, aggressive, careless, insensitive aspects, or the least desirable aspects, of Mars will make the adoption of the new technology rough or difficult. Being in Scorpio, it may be seen as calm and collected throughout the year. It will most likely be seen as a true friend this year and assert itself in a resourceful, passionate way. Jupiter is associated with law, legal proceedings, royalty, ceremonies, prosperity, generosity and material wealth. Being in the 8th house, which brings in the energy of having to deal with the unexpected, we’ll find big issues or joys that will come out of the blue, which the community will deal with in an ordered and resourceful way. Expect really big things to happen out of the blue that will have a deep emotional impact on the project and community. 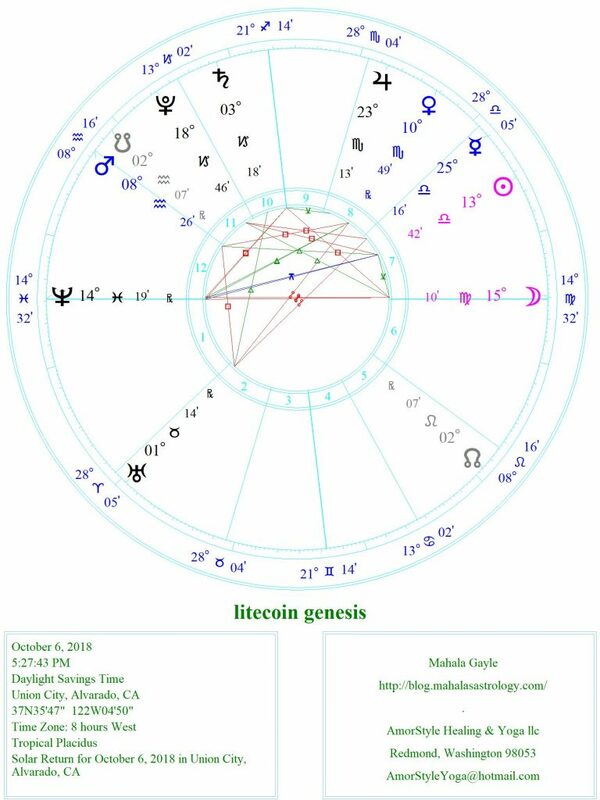 On top of this, Jupiter is semisextile the Midheaven showing that what Litecoin is meant to be this year is in harmony be being big and grandiose. If you read my previous review of Litecoin (see Mundane Solar Return for Litecoin 2017) you’ll notice that I did not include a bi-wheel representing the Solar Return influences on the natal chart. From my analysis in the last report, the energies of influence did not really seem strong enough to warrant the time spent on the analysis of those aspects. Instead, I will generate a list of transits to watch for the coming year. As each one comes along, I will (hopefully) publish a write-up of that transit. If you want to contribute to the list of important dates, please comment on this article with the aspect and time. Would love to see your comments on this interpretation. Particularly, if you have something, or are willing to point out something, that you think will add value to the current offering. Now we get to wait and watch!